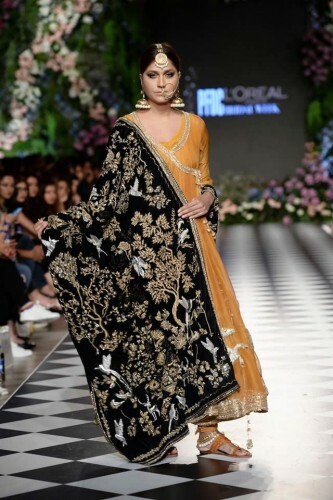 The talented and capable fashion designer has showcased the latest and unique Rani Bagh bridal collection at PFDC L’Oreal Paris Bridal week. 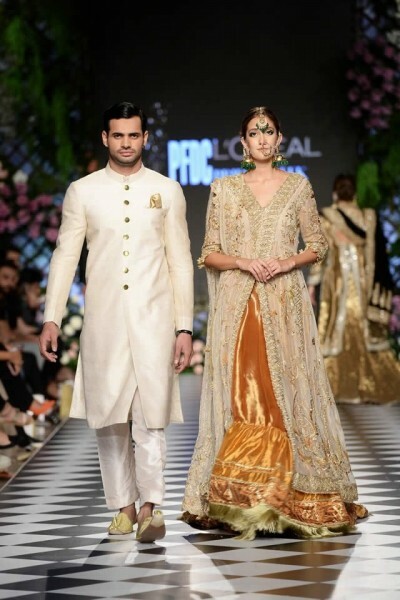 The fashion designer has showcased the bridal collection with solo show at the PFDC L’Oreal Paris Bridal Week. 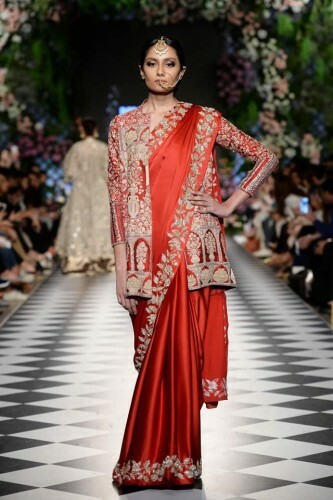 The fashion collection has drawn the inspiration from royal courts and gardens of Mughal period. The style of the dresses of the courts were changed into the fine embroidery work, which is made in zardozi, gota, fine silk thread, marori, kamdani, wasli and mirror work. 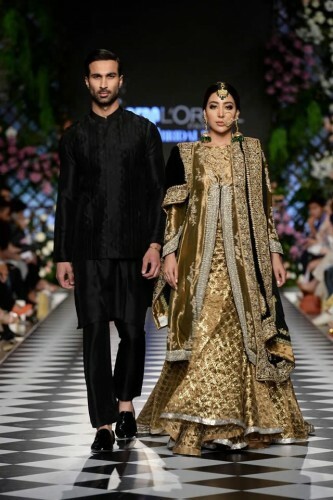 The dresses are prepared and they are paired with lenghas, chooridars, farshi ghararas and izars and they are complimented with work on duppatas and chaddars. This collection is true to the love for birds and horses of Nida Azwer. She has done the collaboration with Ali Javeri jewelers for the design of Mugha Treasures collection of the wonderful and elegant jewelry and shoes by soma for this bridal dress collection.